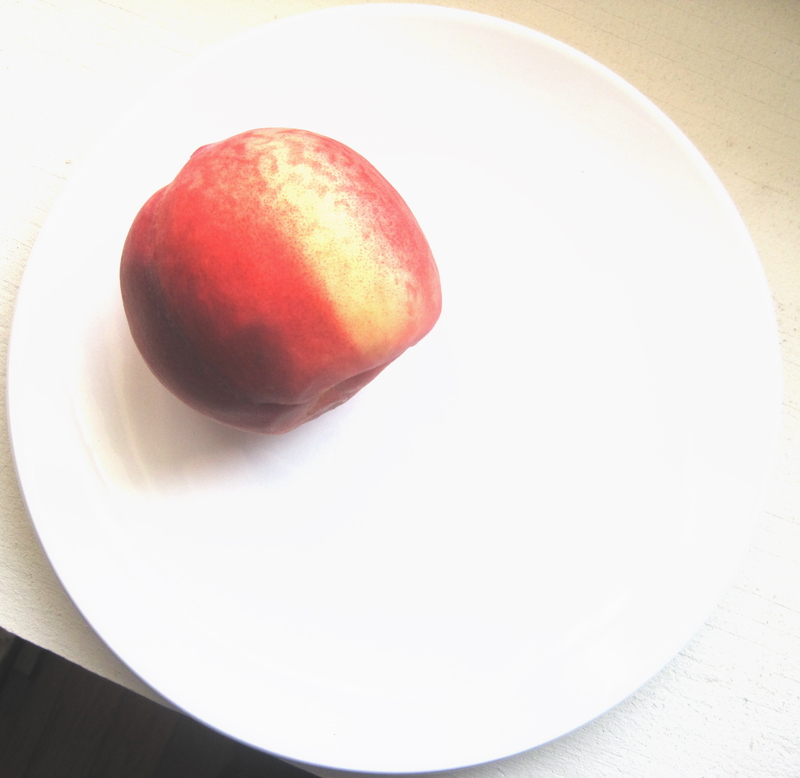 This is the time of year when peach season is just ending and apple season is just starting. Kind of a bonanza if you’re a cook. You get to ask yourself: Do I want to pretend summer isn’t ending soon and make a peach cobbler, or do I want to stick it to the relentless heat waves of Summer 2012 and make a crumb-topped apple pie? Either way, you get to be stubborn and either way you end up with something yummy, so I’ll salute you for either choice. Or heck—do both. Trudging through the orchard, something I’ve done for a lot of years now, I’ve noticed most people go for pretty. Strictly. And pretty can taste just fine, it’s true. But lean in—I’ve got a secret for you. Two, actually. 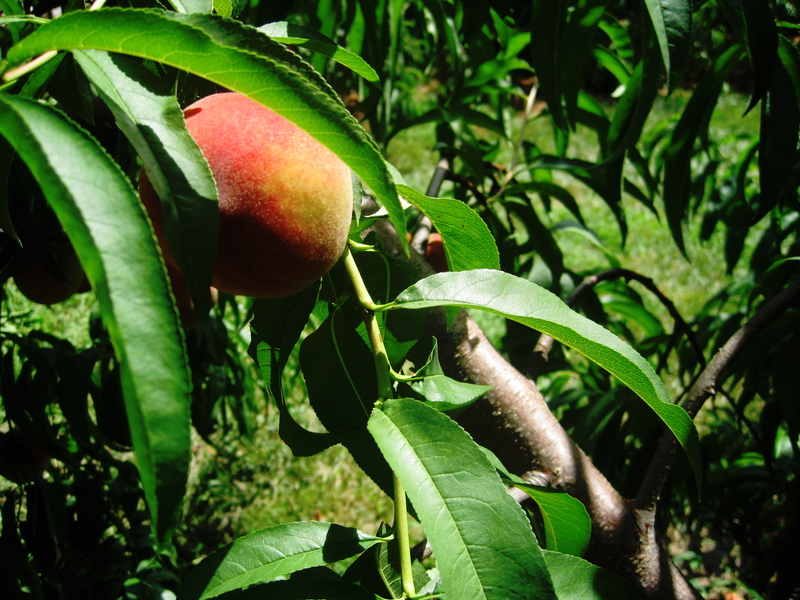 We’ll start with peaches: The somewhat bruised, or split, or overripe, or not-uniformly-rosy-but-instead-yellow-streaked will taste sweeter than the pretties. That streak is the mark of the leaf that lay across the peach, where the sun couldn’t touch the skin. 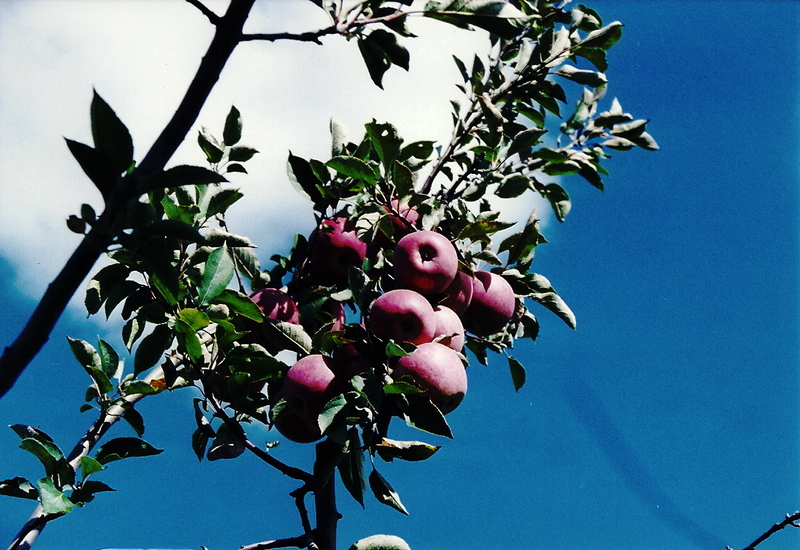 When it comes to apples, you want to look for rough brown splotches on the skin, called russeting. It looks a little strange to us, who are used to supermarket apples that are so perfect they practically start singing Good Ship Lollipop when you get close, but russeting is harmless. It’s an indicator of an apple that hasn’t been rejected because of arbitrary rules about perfection, and it’s an indicator of sweetness. I’m not a botanist, Lord knows. I told you once how well I did in bio, right? But there’s something undeniably good that happens to a fruit when it’s been scarred—by the wind, by the farmer’s shoulder, by the branches that surround it. It’s almost as if, for what it loses in pretty, it gains in character. And of course there’s a metaphor in here about people, too, one I like to remember as I’m collecting my flawed fruit, getting dusty and grimy, and after an hour, pretty much looking like the dog’s lunch, and that is, collect pals who have some scars. They’re a whole lot more interesting than people who have had the perfect childhood, the perfect education, got the perfect job—people whose whole lives have been smooth sailing ever since they first opened their little mouths and said wah. And just as important: Respect your own scars. Own ’em, because they’re probably why those cool pals keep you around, too.